I'm Fred Raillard, CEO, Co-founder and Creative Chief Officer of FF GROUP, a social, content, tech solutions for brands company based in Paris, Shanghai, Beijing and New York. In partnership with FF GROUP, BFM Business launches #FredinChina, a social media podcast in "Chine Hebdo", the weekly radio broadcast of Mathieu Jolivet. #FredinChina is essential to know and understand the world's largest economy. I fell in love with China, and live in Shanghai with my wife and sons since September 2012. 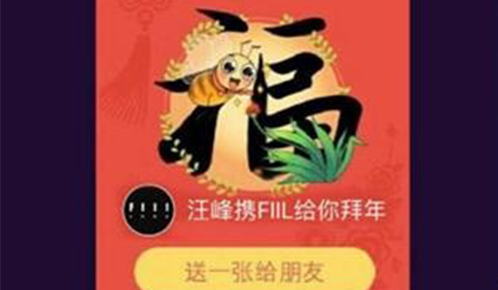 With my teams at the FF Shanghai agency we monitor, analyze and decrypt this ultra-connected China with nearly 800 million netizens by sharing what we see, hear and read on Weibo, WeChat, Huaban, Youku. I prepare this column with Jing Qian from FF Shanghai. The HotTopic of the week is the Chinese New Year, going from the year of the Goat to the year of the Monkey. It's a huge celebration in China. It is the biggest migration of all species on the planet at that particular time of the year, because all the Chinese people go back to their families to celebrate. And this time, it is a story of a girl who decided to break up with her boyfriend after the Chinese New Year. Why? Because she comes from Shanghai, she's a city girl, and her boyfriend comes from the countryside. For the CNY they both went to his family in the countryside, where she was shocked by the simplicity of his family's life, and the simplicity of the meals. 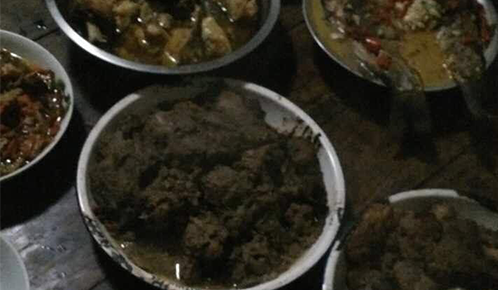 She posted how disgusted she was by the food, the presentation etc. All this was too much for her and she decided to break up with her boyfriend. She posted everything on social media. The reactions against her were huge. A lot of people criticized this girl: "You come from the city, from Shanghai. You're superficial and materialistic. You should show more respect to this family and your boyfriend", "What you have done is really bad, to post and break up like this with your boyfriend. You're just a bad girl". But then you had these secondary reactions from the city folks, who are much more understanding with the girl. They were saying that, of course, she behaved badly by posting the pictures, but at the end of the day, they can understand her because no one wants to live this life in the countryside. This is really interesting because it just reflects the huge gap between the Chinese from the city and the countryside. Naturally the people from the cities are more educated, have much more money, are much more materialistic, in relation to those from the countryside who are more simple, have less education etc. It's a huge gap, a very violent one. The government is obviously trying to maintain the unity between those two differences in China. It's a very interesting subject, showing something deep about Chinese society. Alipay (which is Alibaba payment system) is the brand which has been the most talked about in China. During the Chinese New Year, there is a big gala broadcasted on China's main TV channel, CCTV. In the middle of this gala, there is a kind of lottery that takes place. Last year, Tencent WeChat won the right to organize the lottery. This year, Alibaba won the right to do it, and had to pay CCTV ¥269 million. Naturally, they were very proud to announce that they were the big winners this year. In fact, they distributed 215 million RMB to the Chinese people, counted more than 300 billion interactions overall on Alipay, and distributed ¥800 million on the Alipay system amongst the Chinese people. As you know, the Chinese love to send money to each other instead of giving presents during this time of year. Regarding Alibaba, Alipay won this contest as they counted that their activity was 29 times bigger than their activity last year. But, according to Tencent, their primary competitor, it was not Alipay who was the big winner, but in fact WeChat Tencent, despite the fact that they did not do the big lottery during the gala. WeChat Tencent announced that 560 million people distributed money on their payment system and that overall ¥32 billion was distributed on their payment system. So you be the judge of who won this kind of Chinese mobile payment Super Bowl - is it Alibaba or Tencent? The HotPost (the most emotional topic) for the week is a video on a WeChat account called Yitiao (一条), which is a high quality self-media WeChat account that regularly posts quality videos. 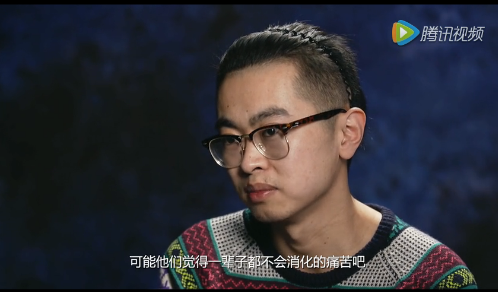 This time it's a video about the Generation Y or Post 90's as we call them in China. It's a really depressing but still very funny video where you see a succession of portraits of Generation Y people explaining the moment when they started to feel old. For example, there is a girl who explains how she used to go out with no makeup, but now can't do that anymore and has a ton of makeup on her face every time she goes out. There is a guy who explains how depressed he is when the people he helps on the street thank him by addressing him as 'sir'. There is another girl who used to go out in miniskirts, and now she goes out in very warm wool socks, which she would never do before. Another guy used to be really romantic with his girlfriend, and now he is not romantic at all which makes him feel very old. So it's just really funny to see this generation that used to be the Generation Y on top of the world, where everyone else was trying to seduce them, who now feel totally depressed because of the arrival of the Millennials.